Jaw Couplings are made available in compact design where the general purpose Jaw Couplings with spicier 'snap wrap' cushion type is inserted in standard and spacer type. 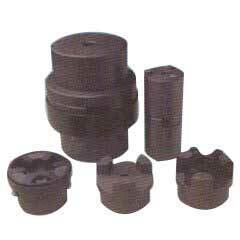 The Jaw Coupling is in high demand in the market owing to its accurate profile and dimensional accuracy. Competitively priced and high quality Jaw Couplings have placed us in the elite group of Jaw Couplings Manufacturers, Exporters and Suppliers from India.